The first day of our holiday was more of a travel day than anything else, leaving the house at five in the morning to catch a midday flight, then arriving in Sicily at four in the afternoon. 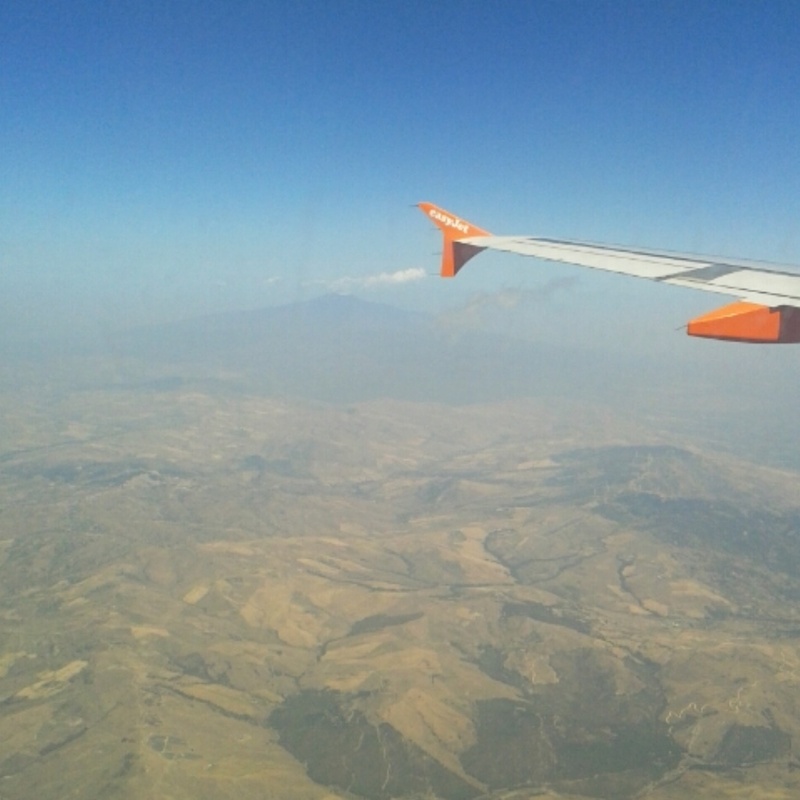 We flew from Gatwick to Catania, which is about a three hour flight, and as you fly into Sicily you get the most amazing view of Mount Etna, the largest active volcano in Europe (photos don't do justice to just how enormous she is). Thankfully once we landed there wasn't much of a queue at passport control and our bags came out really quickly, so within fifteen minutes we'd come off the plane and found a taxi at the airport to take us to our accommodation. We booked an apartment in Catania through Hostelworld, and as the apartment was let out by the Globetrotter B&B, we took the taxi to the B&B itself, where we were greeted and given our keys, as well as a map and some useful leaflets, then walked to the apartment by one of the girls who worked there (who's name I sadly don't know). 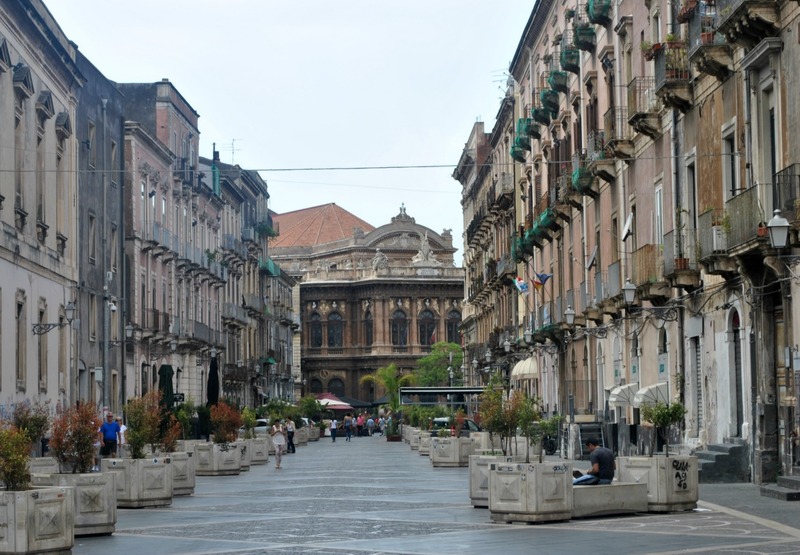 It was only about a ten minute walk and along the way we were told a lot about Catania, like where the fish market is every day, which nearby towns are worth visiting, what the traditional Sicilian breakfast in the summer (granita – like ice-cream, but without any dairy – topped with pistachios, almonds or chocolate), and a little about Mount Etna. The apartment was tucked away in a quiet street with a little fruit stall at the end of it (which of course I planned to walk down to the following morning), and there were a couple of little shops and a pizza place nearby. The apartment itself was ideal for us – it was in a secure building with a gelato and pastry shop right next door, there was a bedroom, a living room with a sofa and a TV (not that we used the TV much), a kitchen and a dining table, a bathroom with a shower, wi-fi, and most importantly, air-conditioning. When the temperature is already above 20 degrees when you wake up in the morning, air-conditioning makes all the difference! Once we were settled in the apartment, we freshened up and went for a wander around to find somewhere to go for dinner. Since we didn't know the area yet we didn't go too far, but there was a small square about a five minute walk from the apartment where there were restaurants, a couple of bars, a café, and the Massimo Bellini opera house, a beautiful building with angels on the outside and stunning opulent interiors which can be seen through the tall windows. We ended up going for dinner at 'Old Fashioned "da Lucia"', a lovely little restaurant with indoor and outdoor seating which offers traditional Italian food. The boy and I both ordered pasta all'arrabbiata – penne pasta served in a spicy tomato sauce, topped with a little parmesan. 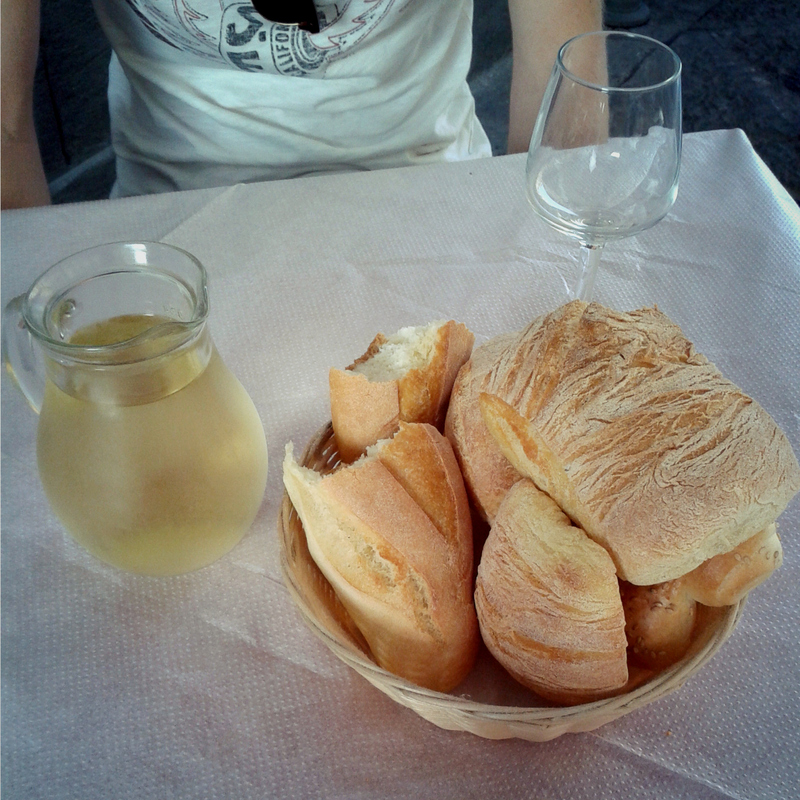 We also ordered some local wine which was wonderfully cold and refreshing, and only €3 for half a litre (which was about four glasses). We stayed there for a while, enjoying our first Italian meal and taking in our surroundings, finally realising that we were really there, in Sicily. Several of the bars further down the street had big screens set up to show the football, so after dinner we wandered down and sat outside with a couple of drinks to watch it for a while before heading back to the apartment and getting some much needed sleep.